If you live in the Pasadena area of Southern California and drive a car, then you may not realize that the car glass of your auto is one of the most critical safety components of your auto. Over the past two decades, auto manufacturers have placed a significant investment into making vehicles safer to drive in all conditions. If your windshield has sustained damage of any type, then you will want to seek out a reputable and highly rated auto glass repair provider to help fix the issues on your auto. If you are looking for one of the top car glass repair companies in Southern California, then you should definitely consider making Mobile SGV Auto Glass your first call. Our company has been in business for more than 12 years, and we offer the best auto glass replacement cost [link to auto glass replacement cost page] in the LA County area. We are committed to customer satisfaction, and when you make the smart decision to hire our company, you will quickly see why we are the top-rated auto glass provider in LA. We will never let you down, and we have a 100% warranty on all work that our mobile glass repair teams do in the local area. 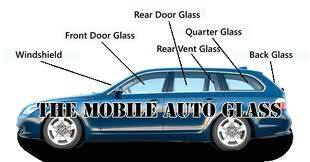 When it comes to car glass repair, not all companies are created equal in Southern California. If you are looking for a reputable provider who has one of the top-rated customer service reputations in the business, then you should look no further than Mobile SGV Auto Glass to take care of your automobile. Our company has more than 12 years of experience in the business, and we are able to consistently deliver the best auto glass services in the Pasadena area of SoCal. Any job that you hire our quality team of mobile glass repair technicians to accomplish is covered by a full warranty, and you will never be disappointed in the quality of our team’s work. If you find yourself with even the smallest of cracks or chips in your vehicle’s windshield or side windows, then do not delay in reaching out to a service provider. Every day that you delay can result in the damage to the glass on your car, truck, SUV, or van quickly growing to the point of requiring a full glass replacement service.